As one stares up the Morne Brabant majestic and protective reveals itself. Facing the sumptuous suites an infinite immaculate white sandy beach where the lagoon extends its wonderful view accompanied by the gentle sounds of the waves. There discreetly nestled amidst the lush green vegetation of its surrounding gardens a fabulous hotel a dream resort - LUX LE MORNE previoulsy LES PAVILLONS. When children aged under 12 share a room they are free of charge for Bed and Breakfast. For other meal plans children have discounts that apply automatically in the rate. Pets are allowed upon request. Charges may be applicable. Largest Meeting Room Size: 592 sq. ft. Lighter, brighter holidays shouldn’t cost the Earth. And with the help of our guests, they don’t have to. At LUX*, we recognise that we have a duty of stewardship over the places we operate and the planet we inhabit, and we strive to achieve complete carbon neutrality in every LUX* resort and hotel. We ask every guest to give €1 a day to offset 100% of the carbon emitted during their stay. It’s a small price to pay, but it has an enormous impact. Of the money raised, a third goes to carefully vetted offsetting projects in the regions where we operate. The rest is invested into pioneering measures and initiatives that lighten our footprint and improve our energy efficiency. So far, it’s enabled us to bottle our own water on site; to use chemical-free, eco-friendly cleaning agents in housekeeping; to improve our waste management and recycling of everything from water (which irrigates our gardens) to kitchen oil (which is turned into biofuel), and to begin introducing low-energy plasma and LED lighting in every resort. Rather than wasting paper, we’ve created the tablet-based booking system LUX* Valet to communicate products and services to our guests and, thanks to a motion-sensitive energy-management system, we’ve cut down on wasted energy when rooms are vacant, too. There’s still more to be done of course, and we will continue to introduce new green technologies and eco initiatives over the coming years. Thanks to our guests, our tread gets lighter every day. Wonderful experience! Thank you to Vimal, Annabelle and team for a fabulous stay. They treated our little girl like an absolute princess. It's a magical place for her now! In summary, I had a lovely and very relaxing week. I had a Junior suite, in which the bed was very comfortable. The shower in the Ensuite was probably the best hotel shower I recall. The room wasn't huge, if you want somewhere to sit that isn't the bed, but there were private chairs and lounger in an outside area. The food in the restaurants was good (and plentiful) if not exceptional. The main restaurant had a buffet that always had a good selection of local, pasta and other international dishes. If I had a criticism then it was a little short staffed at breakfast for the numbers there, so getting the first coffee was often slower than I liked. The beach watersports were all inclusive, with snorkeling (via a short boat trip), windsurfing, paddle boards etc available. In addition there are 2 heated pools (plus an unheated one too). Lots of people looked like they were honeymooners or similar, but there were a small number of children around too, and certainly my children were well catered for. When we got to the end of the week, you just have to think how much you've enjoyed the stay, and I struggle to think of many other places where I've really not wanted to leave. It’s a place you will defiantly want to visit again. The staff will go beyond limits for your comfort. It’s perfect for relaxing and chilling. its a little hidden and might take at least half an hour to reach local food places if you intend to explore the area. But if you intend to just relax and unwind on the beach, this is the perfect spot. They have 3 restaurants, with variable cuisines everyday .. so you won’t have an issue enjoying your stay without having the need to leave the resort. A little toward the quite side which is perfect. Whether you have a small family and want to enjoy the beach with your kids or whether you are looking for a romantic stay .. this place have it all. Kids can enjoy the different activities the boat house provide for free which have lots of fun, but yet there is no motorized activity and a special dedicated area for swimming so all in all it’s safe for youngsters to play around without worry, and still very quite and peaceful for those couples looking for some romantic and special time. Either way You won’t be disappointed. One of the best experiences I have ever had!! Work was a bit overwhelming and I was looking for a place where I could relax and unwind. The location of the hotel was very scenic and perfect for a relaxing holiday by the sea. They gave us a free upgrade and we totally enjoyed the beach suite. I loved the infused water stand on the beach and all the little details that Lux* offered. I also liked how they have their own products for the shampoo, lotion, and body wash! They all smelled so heavenly. All of this made our stay so special and memorable. I still can’t get over the look of the sky at night over there, it was covered in MANY stars and they were all shining. Stargazing on that part of the island was something else!! I would definitely recommend Lux* and I would love to try their other hotels one day. The Lux LeMorne is in an amazing location with the mountain sheltering it from the poor weather, beautiful beach and calm lagoon and absolutely fantastic staff. We found the serving staff at the restaurants, beach cafe and the beach staff to be amazing and very helpful, accommodating, pleasant and cheerful. They couldn’t do enough for you and were warm and friendly. The hotel also has a very good boat house centre with again extremely friendly and helpful staff. The beach is clean and well maintained, beach lounges and bean bags. The water is clean and calm. The're is flavoured water for guests on the beach which is a nice touch. There is always someone nearby to take your orders for food and drinks on the beach and in the restaurants. Heaven on earth exist!!!! Awesome place, luxury and friendship. Cant ask for more. Quiteness and relax everywhere. The grounds at the base of the mountain are beautifully landscaped and the cottages well appointed. The three pools are lined with blue green slate which shimmers for a dramatic effect. The beaches are raked daily and have comfy lounge chairs, bean bags and thatched umbrella tables. They have flavored water stations and even came around to clean our sunglasses! There are 3 restaurants, the buffet in the main dining room has a different theme each night, the Beach is ala carte Mediterranean and East, a Thai restaurant. The food in the buffet has been up and down as far as quality but not bad overall. The location of the beach is great because it is not overlooked by the other hotel next to us. Definitely worth a visit. Quite possibly the best beach resort I've seen in my life. Visually stunning, in one of if not the best location in the island. Staff are well trained, organised and nice. Never feels crowded eve when full. had an excellent stay in this resort. Everything is great. Staffs are nice and they care for the guests. Superb in everything. I would return for this resort. Excellent hotel with very good service. Very nice beach and nice pools. Excellent food too. Went to the beach in front of the resort, the takeaway near the water sports hut had great food, smoked marlin panini for about 1.5GBP. Paradise. Simply perfect, in every possible aspect. Luxury has a new meaning. From location, to food, to architecture to sports and services, to the smile of the people. Every dinner is a feast. Just remember three things: the reef colors and life are not so bright as in red Sea or Maldives, it is quite windy and be prepared to walk if you want to get to the kite beach, it's thirty minutes by sea shore. Absolutely fantastic hotel. One of the best we have stayed in, can't wait to return. The staff were extremely friendly and courteous and could not do enough to make our stay memorable. This will be a place we return to again, the food was delicious and the drinks equally as good. Plus the beach makes for a great added bonus!! Lovely place, had an amazing day there. Feels so relaxing with beautiful views. Kids enjoy a lot in kids club play. Fantastic hotel. Great choice of food. Service and personnel and always there for you. I hope to come back soon ! Absolutely fantastic hotel. One of the best we have stayed in, can't wait to return. The staff were extremely friendly and courteous and could not do enough to make our stay memorable. 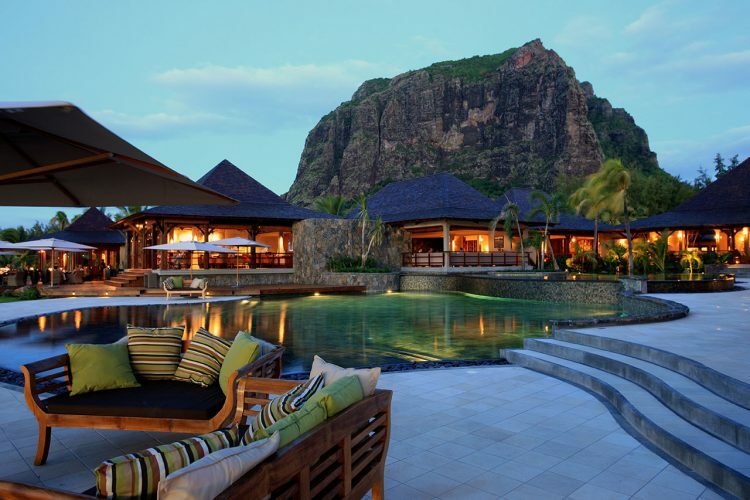 A true gem in Mauritius, it looks incredibly beautiful and the staff is very helpful. A little paradise. 2 things would be nice to improve: the soundproof of the rooms (the upstairs neighbours were not very discreet), and some cockroaches control (but on the other hand, we're in the middle of the forest). Perfect 5* all inclusive resort. Staff service and amenities are top notch. Everything about the stay was fantastic. Comes at a premium price however. We stayed in a superior room with an all inclusive package and it was lovely. We had an issue one day when there was no hot water which is why I've taken away 1 star, but everything else was perfect. The staff were very attentive and accommodating, the food was great, and the beach activities were diverse and fun. Peaceful, beautiful place. friendly staff, decent food. just got home and I want to go back! It's weird giving such a medium review for such a stunning place. But hold out for a read and hopefully you'll understand why it's 3 stars and in the process not think I'm an entitled a-hole! For anyone whom has stayed with Lux before outside of Mauritius will be in for disappointment is the first thing I'll raise (spoiler alert). Having been lucky enough to visit the Lux at the South Ari Toll in the Maldives. I was stunned to finally understand what 5 star hotel meant in terms of food, service, location and hospitality. You get 50% of that at the Le Morne Lux hence 3 stars. The setting is beautiful with Le Morne as the backdrop of the hotel. If you have a DSLR/Drone, take it you will not be disappointed with the footage. The actual hotel is dated and doesn't look like it's gone through the "lighter, brighter" make over like the rest of the resorts but it also strikes me that it hasn't been performed to cater for it's clientele (e.g. if you are under 40-50 years of age, you'll be one of few) of older primarily Europeans that stay. The service is fine most of the staff are friendly enough, but in 10 days of staying the number of times food was forgotten or parts of a meal were left out via room service was not acceptable for a hotel/brand that prides themselves as a seamless 5 star luxury. This coupled with the limited 3 (and largely limited dish wise) restaurants was pretty disappointing, as someone who looks forward to trying local/different food when I vacation, it really made me question whether we'd booked the right place. This leads on to the MOST disappointing part of staying here...having to book a day in advance to get a table at the restaurants (hence room service and not getting half the food on delivery). I literally thought this was a joke, as I go on holiday to avoid having to plan my time so specifically as to book restaurants/dinner, as it no different than having dinner at home and I could have saved a whole bunch of cash in the process. I would suggest to anyone who stays here to check out the hotels either side of Lux for dinner options as they were a whole bunch more accommodating (The Regis, Indian offering is good!) To give you an example of why we left the hotel for dinners; The Lux Thai restaurant has seating both inside and out, the reason it's 50% empty (the inside) is because in case it rains and they have to move everyone inside. The logic at a hypothetical level, checks out. I understand that. You move the guests in when it rains and everyone is seated as they were. In practice, during the time we went where it was 29 degrees celsius and zero clouds in the evening= zero % of rain. I was actually dumbfounded the declined to give us a table and would rather let 50% of the tables lay waste. There was no degree of initiative which I found largely amusing and sad. Enough of that negatives. The positives can be summed up quickly: 1. The bar staff, there is a totally awesome guy there called Hann (I think) and works behind the bar and as a barista. Makes killer flat whites as well as his Ti'Punch. Visit him you will not regret it. 2. Rodee at the Thai restaurant. Is a really good guy, brilliant sense of humour and executes flawless customer service. One of the few people I liked bumping into during our stay, genuine smile and questions from him. Overall summary: If you've never stayed at Lux before Le Morne, then be prepared to have your expectations blown out of the water with any of the others Lux resorts as there is better. Le Morne is an expensive resort. We added up our stay and it would have been cheaper to go back to the Maldives where the beach was stunning and had way less people. For those that have stayed with the Lux brand before and are considering Le Morne and aren't hung up on what I raised above. Then outside of the hotel the island is amazing and we had a great time being tourists. Pics are also attached so you can see how pretty it is outside of hotel logistic gripes! They doing the best for there guests to have a good holidays in Mauritius. Been at the public beach restaurant beside the hotel. Nice location and nice idea to offer food and drinks to people at the public beach. Good is the Flying Dodo beer. Bad, there is as per the guy at the cashier no real vegetarian choice there beside fries and green salad. For me is the best hotel in le Morn. Less people, more romantic atmosphere. Best for couples. Heavenly resort with beautiful location Awesome rooms or villas Fantastic Swimming pool Good food variety .. The best hotel vacation I have ever had. the staff were so helpful, your every need catered for. One of the best beaches I've been on, great for kids to see wildlife just metres from the shore. All of the food was fantastic and the rooms were amazing. A must book holiday! We didn't stay here, but rented canoes and sailboats from their water sports centre. Le Morne beach in our opinion is one of the best beaches in Mauritius. Absolutely stunning! The staff at the resort's water sports centre were also really nice and accommodating. Literally the best vacation I've ever had. Stayed April 27 to May 6, 3016. Amazing staff, fantastic views and wonderful memories. See my detailed review posted on Trip Advisor. The best hotel vacation I could ever wish for. Fantastic staff, food, view and room. Loved every part of it. Travelled with my wife and infant daughter, everything was accommodated for and the entire trip was a magnificent experience! Easily the best hotel I've ever seen. Amazing view, staff.. What can you ask more? I have passed a wonderful holiday with my family in this property. The staff were very friendly and helpful. The property was well-maintained. The food was extraordinary. I highly recommend this hotel. My wife and I have been travelling the world extensively, but this hotel is by far the best in terms of service, food quality and activities. Extremely beautiful beach, extremely friendly staff. The whole thing is just to big, western and 'sterile' for my taste. Simply the best holiday in recent times. Best service, caring staff, Indian food - catering to 65yrs - 11 yrs age group. The beachfront is awesome & the water sports are great.